Rated 5 out of 5 by GalR from Beautiful Game! I enjoyed very from this game.The videos effects is great,The storyline is excellent and i waiting for Mystery Trackers 4. Rated 5 out of 5 by Dexter_Morgan from You'll Want to Play This! 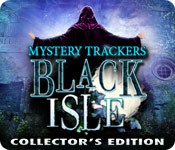 I love all of the Mystery Trackers games and this one is no exception. A fabulous storyline, amazing graphics, lots of interesting and clever puzzles - in short, a great game! Rated 5 out of 5 by perilife from Excellent game Pretty much everything's been said so far, but I just wanted to add my 2 cents to give this game a good rating and my recommendation. This is a good long, involved game that keeps the storyline going. Also the Bonus chapter in the CE was satisfying and of good length. There are lots of achievements, a cute dog, interactive HOs, thinking "out of the box", rich graphics, not tooo much going back and forth (you have to walk around, this *is* an adventure after all...). I absolutely hope that this bunch makes more games like this! Important: make sure you watch the Bonus video content! Rated 5 out of 5 by voodoogueen from A Big Goofy Game! Mystery Trackers: Black Isle doesn't take itself too seriously and although it does have a few lapses in logic, I think that's what makes it so much fun! It blunders along with over the top acting, cheap thrills and sloppy artwork and gets away with it! The highlights for me were the hidden object scenes. They are messy but filled with clever challenges including puzzles within the scenes and the use of previously acquired objects that you bring in from your inventory bar. Other inventory items stay with you and are used in unexpected and innovative ways. I especially loved my four legged shovel. I enjoyed all the puzzles and some were wildly creative. Instructions are supplied so I wasn't floundering trying to figure out the mechanics. There is a helpful map that shows areas of interest and will even bounce you to different locations if you get tired of backtracking. And you do cover the miles in this game! I snagged the Collector's Edition and although I never needed the strategy guide, I did use hints to smooth a path through the game. There are achievements to earn, each funnier than the last, and 50 owls to find. The bonus chapter is a nice extra and an interesting twist on the story. I had a ball playing this game and I hope you do too! Rated 5 out of 5 by FoolishVelvet from Black Isle I loved this one. The game play was very long compared to most others, and the puzzles were challenging enough and varied enough to keep it interesting. The graphics are awesome. Adventure/HOG's that are too brushed or faded bother me for some reason, and this one is nice and crisp. I love this type of hidden object -- one that brings you through an adventure and allows you to travel all over the grounds from section to section, needing certain objects in order to do certain things. In general, the gameplay is similar to something like Dire Grove. Very nice! Rated 5 out of 5 by LPERM from AWESOME HOG ADVENTURE GAME Mystery trackers definitely gives you your money's worth. Good story line. Lots of hog and inventory items and the very useful map. Nice long game play as well. Rated 5 out of 5 by Juju38 from Love this game! Superb!! the graphics are outstanding, the storyline is wonderful and creepy too. I just adore interactive HOS and to mix that with using inventory items in the HOS is just pure genius. The best graphics i've seen for a long while. Have to keep going just to find out what happens next and the map being interactive too is a wonderful thing because you're not back and forth all the time, just click on a location and hey presto you're there! The hint system is great and gives cryptic clues on what what to do next so the SG was not needed to be honest. Don't forget to collect all 50 owls, loved that extra part, well done BF, just perfect. Rated 5 out of 5 by kimandabby from AMAZING!!!!!!!!! I LOVE THIS GAME!!! It was amazing recommend! Worth every single penny! Rated 5 out of 5 by rolltide01 from Please Big Fish, I want some more! Had so much fun! There's are tons of things to do. This is the only Series that I buy the CE without playing the demo, because it is ALWAYS worth it! Graphics are breautiful. Soundtrack is nice. Mini Games are unique, fun, and challenging. Storyline is interesting, with hours of game play. There's a map, which lets you travel to another area, so you don't need your sneakers! :) it also shows where there's things to do! Thanks for another excellent game! Rated 5 out of 5 by gannyjanjan from Loved this game Over all this was a great game. I usually don't completely follow the storyline but I did with this game. The graphics were real good. Rated 5 out of 5 by Scott1219 from One of the best Mystery Trackers The game was absolutely amazing. The gameplay is long, plus you get bonus content in the collectors edition. Very Happy with my purchase and I am sure you will be to. Rated 5 out of 5 by melrosevict from Really liked this game This one was well worth the $. Graphics were great, I liked the flow, it was clever, kept my brain engaged but didn't frustrate me. I really liked using objects in from my inventory in the HOS. Rated 5 out of 5 by nsstott from Another Great Mystery Tracker Game This was an excellent game. So many cute little games inside that were different. Enjoyed it alot. Will play again....it's a good buy. The bonus chapter was enjoyable too. Several hours of fun. Enjoy ! Rated 5 out of 5 by lindaloo27 from This is an amazing game! Keep them coming!!! I loved this game and all of the Mystery Tracker games. What I really love is the creativity in them and the storylines keep you captivated! They are also not too short and I really enjoyed this game. Rated 5 out of 5 by Zhenya722 from What an excellent game! Beautiful graphics, great voice-overs; loved their hint frog, and spent a loooong time finishing this game in casual mode. Look forward to the next "Mystery Trackers" game! Rated 5 out of 5 by Rebr2009 from Excellent HOPA! Hit right on target ! Intro already holds you ... Sarah, a reporter, disappeared near the Black Isle Hotel, taken by a masked man. Gorgeous graphics, appealing and exciting plot, immersive atmosphere, excellent sound, totally appropriate to the story. Characters that create curiosity in this very well-developed game. Highly interactive game, in all the places there is much to do and collect, including HOS, that despite being easy, are enjoyable - you need to use inventory items. The amount of HOS is very well balanced and in different locations. Several great mini games, some known but with something extra, and some new too. Besides all, you have to collect 50 owls along the way - and is not always easy to find. Hint is very helpful - good assistance to the next step. It has a map too. Although not very challenging, it is extremely entertaining and definitely goes to my collection. Rated 5 out of 5 by jms424 from Fantastic Fun Love this series. Love the interactive HOS. Great puzzles and hint system. Traveling Map is a plus. Some scenes are straight from the other game but I don't mind. Just great fun. Love Elf!!!!!!!!!!!!!!!! Rated 5 out of 5 by Tiger2010 from Another great Mystery Trackers I enjoyed this game more than the other Mystery Trackers. Real actors have become somewhat of a must with me since 13th Skull and in this one there are real animals too! You get to meet a very sweet real Chihuahua who becomes your companion and helps you in several places throughout the game. I felt like reaching into the screen and taking Imp through it to sit on my lap! The frog hint button in the MT games is also a lot of fun. This is a long game with a lot to do, which meant I was entertained throughout; and some of the scenes had me laughing, such as the black and white TV sequence. 5/5 from me. Rated 5 out of 5 by phinderphish from Nice Addition for Mac users I really enjoyed this game and ran through it a second time to get all the achievements. There is a lot of running back and forth in this game. Took 3-4 hours to finish and I do wish it had been longer, especially for being a collectors edition. The additional game play was pretty short. Overall a good buy! Rated 5 out of 5 by fun_and_games from Best game I have played so far This was so well done. Loved the demo and the story. Glad there were hints along the way in case I got stuck Fabulous game. Rated 5 out of 5 by _coral_ from Great game!! I normally don't write alot of reviews but I had to on this one. This game had everything that I like in a game! I own all of the Mystery Trackers games and I love each one of them! This one is great but I'm having a hard time finding all of the owls!! 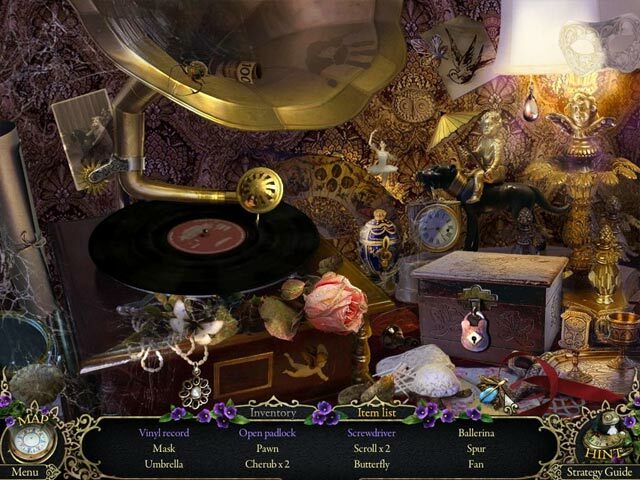 Great hidden object scenes with the objects being easy to locate and not being just piles of random junk. I also love their different minigames and puzzles. I would definitely recommend this game to anyone! Rated 5 out of 5 by Rihardgamer from Like a movie! This game is for those who love to feel themselvs as a detective movie hero! I have both of the earlier games. I love the story lines in all the Mystery Trackers! Rated 5 out of 5 by tas1161 from Great Game!!! This really is a great H.O.G\ \Adventurer very very well made to much to to little! And the price is also great!! thank you Big Fish!.. Buy the CO you will not regret it !! Have A Wonderful Day!!! Rated 5 out of 5 by PhantomSyndrome from Love it! Have played about ten games of this sort and it's the second one I like enough to go and play through it again and get all the achievements and hidden owls. Love it and I can get into the storyline. 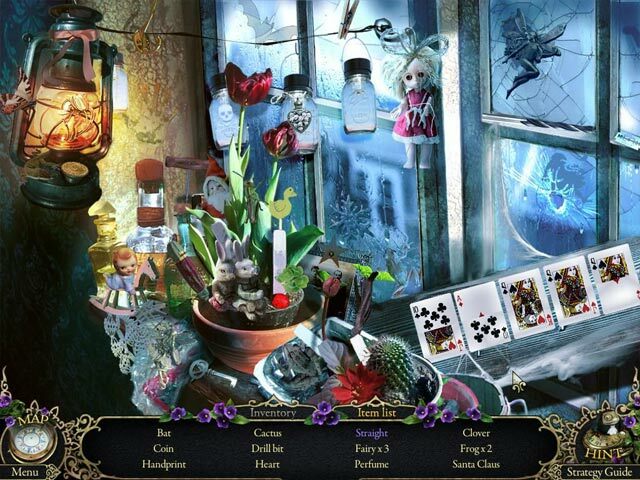 Rated 5 out of 5 by areti7 from Excellent Hidden Object and Puzzles game I enjoyed this game.Very interested Hos and a good idea finding some using the Invetory items. Lots of excellent Puzzles(Personally puzzles are my favorites in the Big F.Games)The map was very usefull.Graphics perfect.Finding the 50 owls( I missed 2)was very amusing. I recommend this game. Rated 5 out of 5 by Co1ico1e from Great Game One of the best I've played in a while!! !